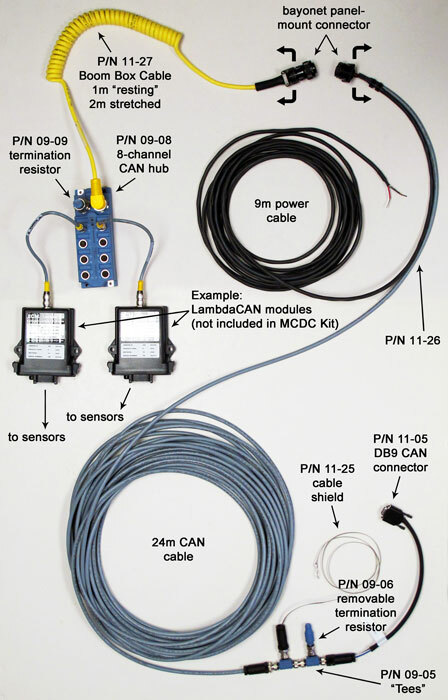 The MCDC kit simplifies the wiring of multiple CAN modules (ex. LambdaCAN, NOxCAN, appsCAN, gpCAN, baroCAN, etc) in dynamometer applications. Up to eight CAN devices can be connected. In many cases, this can be expanded to additional sets of eight (contact ECM). The MCDC kit is made up of rugged components designed for long-life in a dynamometer installation. Cable and connector type, gauge, and material was chosen for proper module powering and CAN signal integrity. 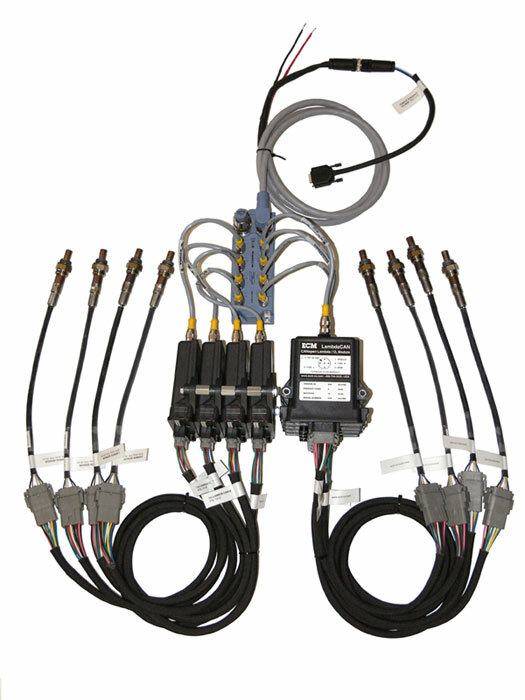 Connectors on the 8-Channel CAN Hub are standard 12mm female Eurofast type for easy connection with ECM’s products. A male mating connector is available for the wiring in of third-party CAN devices. This is ECM’s standard MCDC Kit, however, customization is available. A 24 VDC @ 10A supply is required. 5A max (continuous) per connection point. 9A max (continuous) total.